Do not confuse Obamacare with Medicare and complicate your situation! If you are a Medicare recipient – Obamacare, or the new Affordable Care Act (ACA) health plan options do not apply to you. They only apply to Americans below the age of 65 or otherwise not on Medicare. If you are on Medicare – do nothing at all! 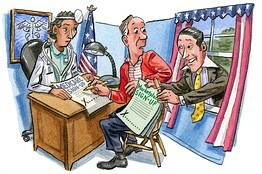 Steer clear of the Marketplace where people will go to apply for the new health care compliant plans. Even though the enrollment periods for Medicare Advantage and Part D Prescription Drug Plans over-lap with the ACA health plans this fall – your benefits are already covered by Medicare and–at least for now–are not changing.